By using this website or otherwise providing your personal information to Discover South Africa, you signify your acceptance of our Legal policy. 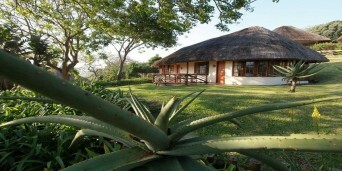 This website can be accessed at www.discoversouthafrica.co.za and is made available by Discover Travel Spectrum PTY LTD. Discover South Africa is not a booking agency and does not charge any commission or service fees to users of this site. You deal directly with the establishments and service providers advertising on this site. Please contact the establishments directly using the contact details provided. It is standard practice in South Africa for accommodation establishments to request a deposit in order to secure a booking. Cancellations of bookings usually require a cancellation fee or loss of deposit. Please familiarise yourself with the cancellation policy of the establishment you are booking with, prior to confirming your reservation. Discover South Africa will not be held liable for any arrangement between the users of our site and the advertisers on our site. Whilst we provide access to all this information in a service capacity, we cannot be held responsible for dissatisfaction with regards to the final resource you select. We recommend that you consider taking out insurance against cancellation due to unforeseen circumstances. Discover South Africa uses reasonable efforts to include accurate and up to date information on the site; Discover South Africa makes no warranties or representations as to its accuracy. Discover South Africa assumes no liability or responsibility for any errors or omissions in the content of the site as the information is supplied by the individual advertisers / establishments. Discover South Africa disclaim all liability for any loss, damage, injury or expense however caused, arising from the use of or reliance upon, in any manner, the information provided through this service and does not warrant the truth, accuracy or completeness of the information provided by its advertisers. All rates published on the site are subject to change without notice. We strongly suggest that you reconfirm rates and service expectations when making a booking. All information supplied on Discover South Africa is a guide only and is subject to change without notice. Reviews: When you make an enquiry with us, you will be given an opportunity to submit feedback about your stay. Discover South Africa reserves the right not to publish any comments which may be defamatory, or which are not verifiable or for any reason as determined in our sole discretion. We hope you have a great stay, but if not we will investigate and take any steps deemed necessary. Discover South Africa does not collect any information from users of its website. All communications are conducted directly between the user and the establishments featured on the Discover South Africa website. The information you provide when completing an enquiry or booking form will not be used for any other purposes other than to respond to your enquiries and important notifications from us. Discover South Africa values its customers and respects their privacy. We collect customer information (such as your name, email address, mailing address, and phone numbers) in an effort to improve your online experience and to communicate with you about our products, services, contests, and promotions. Users of the Discover South Africa website have the opportunity at anytime to unsubscribe from our notification. Discover South Africa can not be held liable for any unsolicited email received from establishments advertising with us. All rights, including copyright, in the content of these web pages are owned or controlled for these purposes by Discover South Africa unless expressly stated otherwise. In accessing the Discover South Africa web page you agree that you may only download the content for your own personal non-commercial use. Discover South Africa reserves the right to make changes, as and when they are deemed necessary, to any and all pages on the Discover South Africa website. This includes but is not limited to design layouts, search methods, content, all coding etc. No materials used on the Discover South Africa website may be uplifted for use in other publications (both online or offline). Materials may be reproduced for non-commercial and educational purposes, provided the materials are not altered in any way and copyright info remains intact (e.g. on Maps). Educational institutions and schools are most welcome to make use of the information contained on this website. A courtesy mail to let us know will be appreciated. Publishers may not use any of the materials from this site. Please note that any copyright violations will be dealt with in the full extent of the law. The name of Discover South Africa or the logos may not be used in advertising or publicity pertaining to distribution of this information without specific, written prior permission. Discover South Africa reserves the right to amend this policy from time to time. Any new version of the policy will be displayed on our website together with the date on which it will become effective, which will never be less than 30 (thirty) days after the date on which it is first published. It is your obligation to visit our website on a regular basis in order to determine whether any amendments have been made.